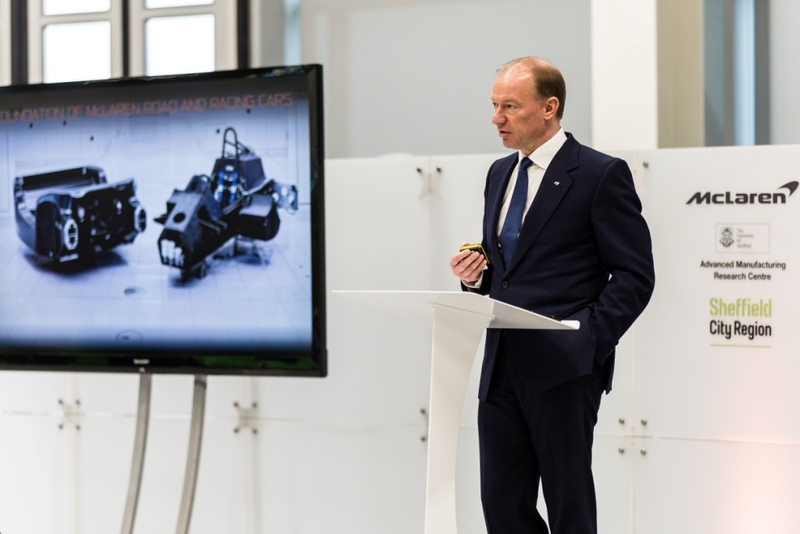 McLaren Automotive has announced the first details of its new Composites Technology Centre. Based close to the campus of the Advanced Manufacturing Research Centre (AMRC) at the University of Sheffield, and built with support from Sheffield City Council, the new Centre will be responsible for the development and manufacturing of the Monocell and Monocage carbon fibre chassis in future McLaren cars. This next generation Monocell will be built using advanced automated manufacturing techniques developed in conjunction with the AMRC. 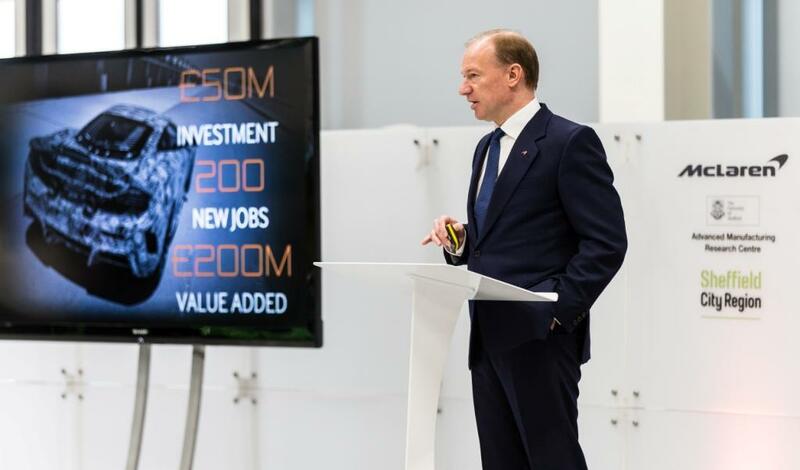 The new facility is due to start construction in early 2017 with the first pre-production carbon fibre chassis expected to be delivered to the McLaren Technology Centre in the second half of 2017 using trial manufacturing processes in the AMRC before going into full production by 2020. 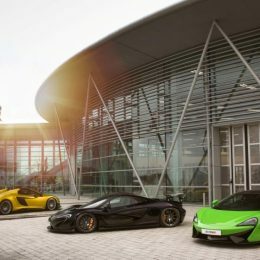 The creation of the new McLaren Composites Technology Centre represents the company’s first purpose-built facility outside of the current McLaren campus. 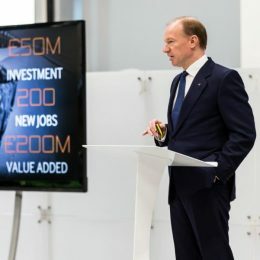 Formed through a partnership between McLaren Automotive, the University of Sheffield’s AMRC and Sheffield City Council, the new Composites Technology Centre will create more than 200 jobs through a combined investment of nearly £50 million. The target is that the new Centre will deliver cost savings of around £10million when compared to costs of today and £100 million of GVA (gross value added) benefit to the local economy by 2028. Opportunities for expansion thereafter create an ambition of doubling that to £200 million. 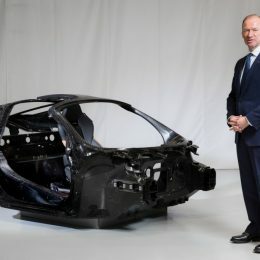 The in-sourcing of the manufacture of the carbon fibre chassis also increases the average percentage (by value) of a McLaren car sourced in the UK by around eight per cent from its average of around 50 percent, depending on model. The AMRC was established in 2001 as a £15 million collaboration between the University of Sheffield and aerospace giant Boeing with the purpose of using Sheffield’s traditional expertise in materials and machining, and applying those skills for future technological development. In 2004, the AMRC moved into the purpose-built Advanced Manufacturing Park in Sheffield and, in 2008, opened the Rolls-Royce plc Factory of the Future. In 2012, the Factory of the Future expanded to include an enlarged Composite Centre. In 2015, the AMRCs Factory 2050 was opened as the UK’s first fully reconfigurable assembly and component manufacturing facility for collaborative research, capable of rapidly switching between different high-value components and one-off parts. The 7,000 sq m building is home to the ARMCs Integrated Manufacturing Group with open-plan desk space integrated with high-tech assembly and manufacturing – much like the existing McLaren Production Centre in Woking, Surrey. 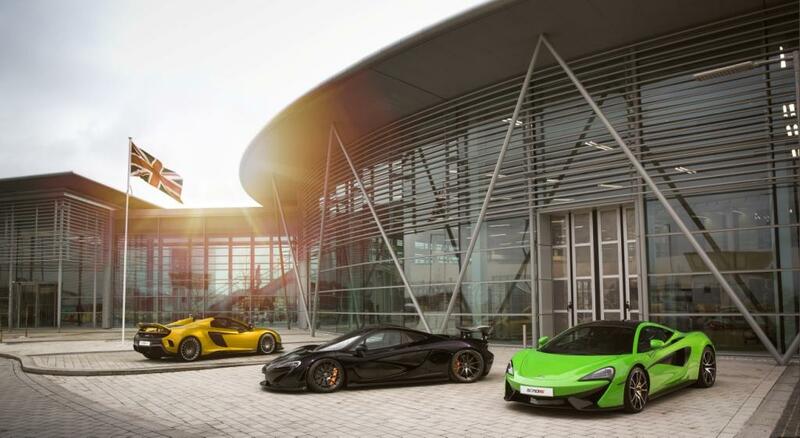 The new McLaren Composites Technology Centre will be sited near to the AMRC campus. 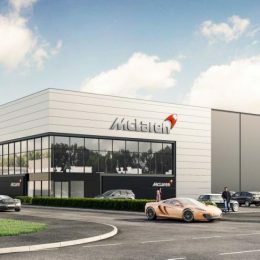 The McLaren Composites Technology Centre will be housed in a 7,000m2 building set over four acres and will be responsible for the research and development of future Monocell and Monocage carbon fibre chassis as well as the manufacturing of the chassis itself. The 200 new employees will comprise approximately 150 production staff and 50 manufacturing support staff. For more than 30 years, McLaren has pioneered the use of carbon fibre in vehicle production. The McLaren MP4/1 was the first car on the Formula OneTM grid to feature a carbon fibre chassis. Compared to the aluminium structures of the time, carbon fibre was lighter but stronger and therefore faster but safer. By the following season, most competitors had adopted this new material in the construction of their cars, and it continues as the prevalent construction material today. And on the road, the now-iconic McLaren F1 from 1993 was the first road car ever to be built with a carbon fibre chassis. This car still holds the world record for the fastest naturally-aspired road car. 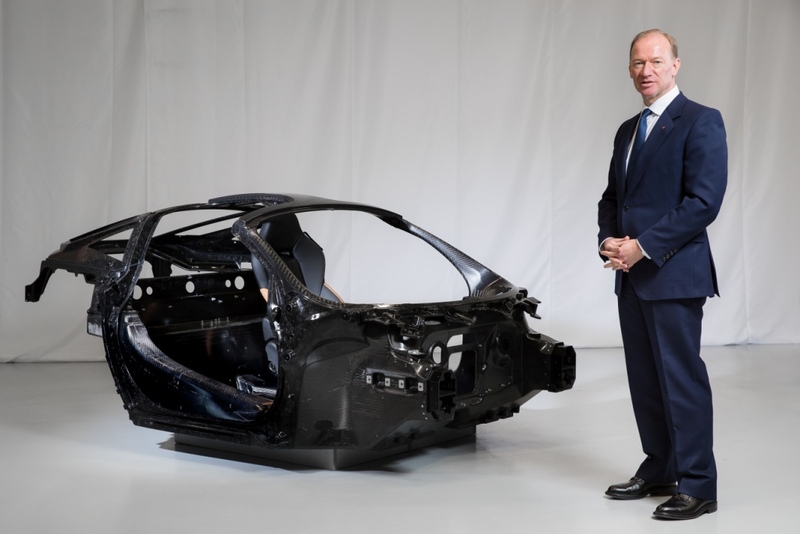 Since 1981, McLaren has not built a car without a carbon fibre chassis. 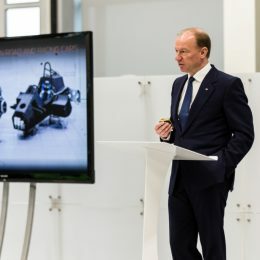 At the launch event at the AMRC in Sheffield, Mike Flewitt, Chief Executive Officer of McLaren Automotive commented: ‘In 1981, McLaren was the first company to recognise the exceptional properties of carbon fibre, and we have designed the highly-technical material it to be at the heart of every McLaren road and racing car ever since. The now-iconic McLaren F1 was the world’s first road car to be built with a carbon fibre chassis and every car built more recently by McLaren Automotive has the same. Creating a facility where we can manufacture our own carbon fibre chassis structures is therefore a logical next step.